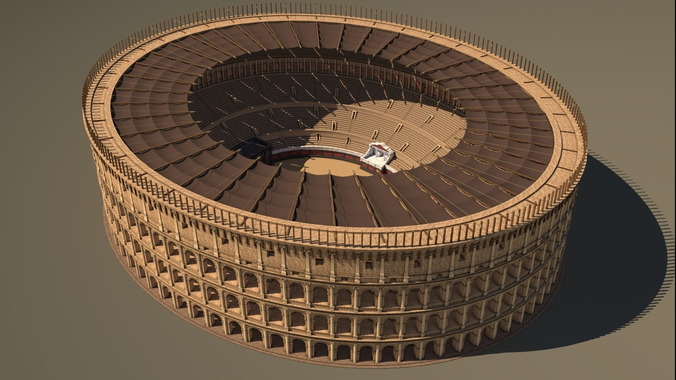 Highly detailed reconstruction of the Roman Colosseum created with Blender 2.78. Details inside of the arena are based on old paintings. To make the textures show up on the .obj, extract texture maps.rar into the same folder as the .obj and .mtl file. Preview images were rendered in the Blender Cycles Renderer. The .blend file contains the render setup.